The contributors to Territories and Trajectories propose a model of cultural production and transmission based on the global diffusion, circulation, and exchange of people, things, and ideas across time and space. This model eschews a static, geographically bounded notion of cultural origins and authenticity, privileging instead a mobility of culture that shapes and is shaped by geographic spaces. 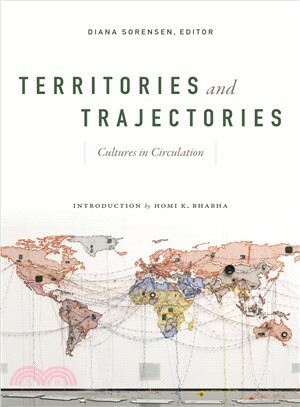 Reading a diverse array of texts and objects, from Ethiopian song and ancient Chinese travel writing to Japanese literature and aerial and nautical images of the Indian Ocean, the contributors decenter national borders to examine how global flows of culture and the relationship between thinking at transnational and local scales. Throughout, they make a case for methods of inquiry that encourage innovative understandings of borders, oceans, and territories and that transgress disciplinary divides. Diana Sorensen is James F. Rothenberg Professor of Romance Languages and Literatures and of Comparative Literature at Harvard University, as well as the author of A Turbulent Decade Remembered: Scenes from the Latin American Sixties. Homi Bhabha is Anne F. Rothenberg Professor of the Humanities at Harvard University.